BP Station Owners Eye Return To Amoco Days BP gas station owners have faced protests and drops in business. The idea of changing BP's branding back to its old name has gained some traction, but experts aren't convinced the company's image would change as quickly as its signs. 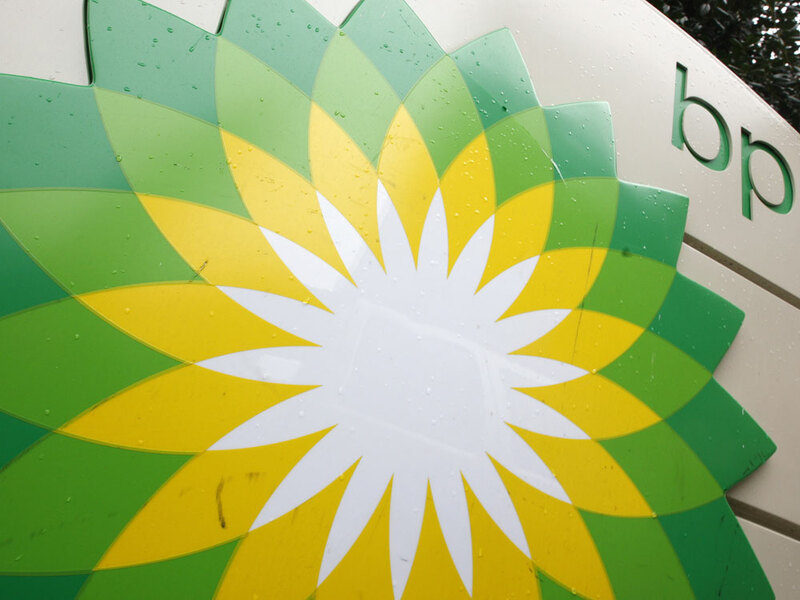 BP's brand is now in question because of public backlash from the oil spill. Local gas station owners around the country are considering switching back to this branding, as seen at a Missouri gas station in 2005, to avoid association with BP and its oil spill in the Gulf of Mexico. About 10,000 BP gas stations crisscross the country. Nearly all are privately owned and operated. Since the Gulf oil spill, there have been protests and vandalism at some stations. Others have seen their business decline. As a result, one idea that has drawn interest among some owners is changing the name of BP stations back to a familiar old brand. 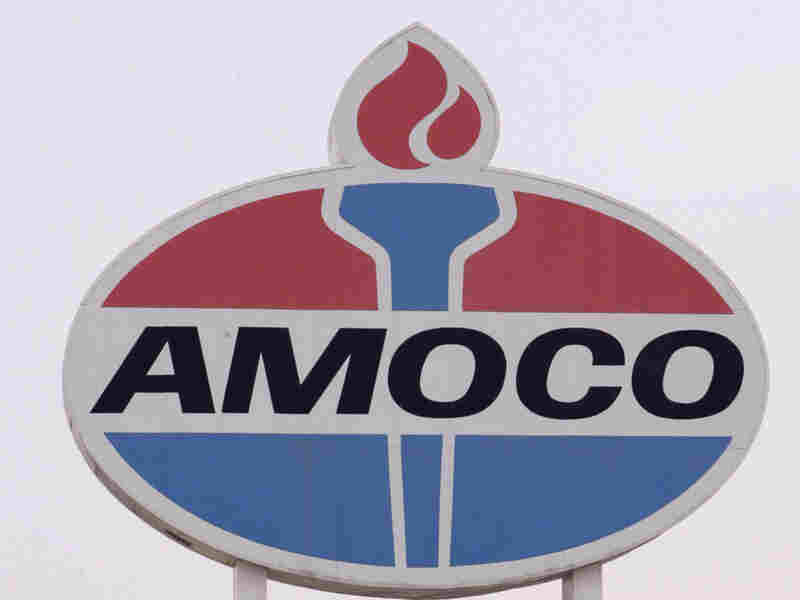 BP and Amoco merged in the late 1990s. Not long after, BP changed the name and logo on thousands of U.S. stations from the familiar red, white and blue torch to BP's green, white and yellow flower. Now, after more than three months of constant reports about the spill and its effect on the Gulf, some have suggested rebranding the local stations back to the Amoco name. At a BP on Peachtree Industrial Boulevard in Atlanta, Martha Johnson says she loves BP stations, so to her it doesn't really matter what they're called. "I think it would be great. Go for it, I'll still be here pumping my gas either way, BP or Amoco," Johnson says. Another customer who often stops at BP to fill up, Ketan Solanki, says he doesn't think the company should rebrand the stations. "Keep it the same name. People do mistakes. People get second chances. And they're doing everything that they can. They've owned up to their mistakes, and they are cleaning their mistakes up," Solanki says. Independent stations are going out of their way to tell customers they are not owned by BP. There are signs -- both on the convenience store and at the pumps -- spelling it out. And BP says it is spending $60 million to help stations -- offering cash incentives, reducing credit card fees and paying for a media campaign. One of the ads from that campaign asks: "Have you ever met the owner of a BP station? Chances are you have. Most BP stations are locally owned and operated. So that guy that gave you directions, he might be the owner." Still, many stations across the country have seen their business drop off. "We've seen about a 8 to 12 percent decline," says Tom Bower, president of Clipper Petroleum in Georgia. He operates 34 BP stations in the state and supplies 160. His stations bore the Amoco name for decades. He says it's too early to say whether making any changes now would help. "We love that Amoco brand. But it's been gone for what, 10, 12 years now? I'd have to study a little bit more on it to decide whether that'd be a good thing to do. You know, when you've been gone for a while, people tend to forget," Bower says. There is precedent for changing a company's name. In 1996, a ValuJet plane crashed in the Florida Everglades. The company was reborn as AirTran, a successful regional airline. There is also precedent for companies keeping their names and working to rebuild their image. Take Tylenol, after its capsules were poisoned in the 1980s, and more recently, Toyota, which recalled millions of vehicles for defects. But Ray Baird of RiechesBaird, a specialist in marketing strategy and corporate branding, says it's not an easy cure. "I think from a business standpoint ... just switching a name for the sake of switching a name is not a good idea. Consumers can really kind of see through that," Baird says. He says BP may want to research using a new sub-brand like Amoco. But Baird says that given the right communication and corporate response, the BP name can recover -- eventually. "I don't think it's going to be forgotten by the individuals today that are being affected by it. But the generations behind that -- you know as they grow in, how will they understand what BP does? I think that is significant to the longevity of that overall brand," Baird says. Other marketing experts say it's way too soon to think about dropping the BP brand. They say price, the location of stations and the kind of service they deliver are the keys to where consumers buy gas -- regardless of the name or logo on the station.